My mother’s advice was a guiding force for the nine years to follow. I completed high school with excellent scores, and went on to receive my B.A. at the University of Nairobi. Then in 1994, while working as an organizer in my community, I received a scholarship from USAID, which allowed me to build on my local development efforts through a course in Washington, D.C. Finally, I’d made it to the land of opportunity! America was in many ways true to my imagination: full of kind and generous people who were curious about life in other places, highly resourced institutions that worked efficiently, excellent public transportation, beautiful buildings and fast cars all around me. But, walking through some of the poorer neighborhoods of D.C., I encountered something I hadn’t imagined. I found that much of this country’s wonderful offerings did not reach all of its citizens. Some of the extremes of poverty I witnessed weren’t much different from those of the Nairobi slums. It made me wonder: How could so much need exist in this land of plenty? The poorest D.C. residents clearly had very limited access to productive and meaningful economic opportunities. For some, even the most basic needs went unmet. I was often asked how it was possible that I, a young woman from Kenya, was able to attend graduate school while so many here are unable to attain even a high school diploma. Many of those baffled by my circumstances were African Americans, who didn’t view a college education as something they could ever reach. Six months later, I went back home to Kenya, my vision of America significantly altered by the time I had spent here. More than a decade has passed since my first trip to the U.S. Today, I live here with my family, and have made a career out of understanding the factors that make extreme inequality possible. If we view economic inequality in the U.S. through a racial lens, it becomes clear that Black Americans have experienced diminished progress in recent decades. For example, from 1947 to 1977 Blacks gained five cents to each dollar of median family income for White workers, but in the three decades since, they have gained only one cent. The American reality may have been far from a dream for people of color in the 1940's, but upward mobility has since become even more difficult. The stagnation of wages for the lowest earners, depression-like unemployment rates among people of color and increased economic segregation have helped to create racialized pockets of destitution. As a result, people of color depend far more on unemployment insurance and other social safety net programs than do Whites. This is directly attributable to pre-existing wealth disparities and ongoing economic policies that disproportionately benefit wealthier Americans. To make matters worse, conservative politicians at all levels of government are calling for drastic and poorly informed budget cuts. Such proposals would be damaging to vital programs such as education, food safety, environmental protection, housing assistance, and community services, to name a few, and would be particularly debilitating to communities of color. An austerity plan will exacerbate low and middle income Americans’ struggle to make ends meet, causing demand to fall, the economy to contract and the jobs crisis to continue unabated. And, it will only worsen the vast inequalities in our economy. The American promise certainly beckons, and I am a living testament to the power of its allure. But, without a bold and progressive policy approach to address economic inequality, such a promise will never be fulfilled. Changing this reality will require each of us to join together in a movement for greater equality and justice for all. 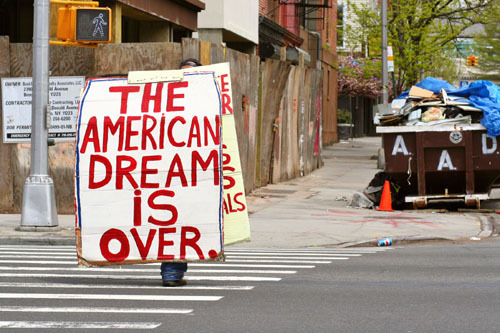 Read UFE's report, State of the Dream 2011: Austerity for Whom?, for more on this issue. This op-ed by Wanjiku Mwangi, UFE's Racial Wealth Divide Initiative Leader, was originally published on April 23, 2011 in The Black Commentator, a magazine that provides insight and analysis on issues affecting African Americans. Senator Orin Hatch (R-UT) just doesn’t get it – taxes are not charity. His idea that rich people who recognize that their taxes must go up should "write a check to the IRS” is just plain nonsense… nonsense that we’ve heard before. Schoenberg’s response hit the nail right on the head. But this isn’t the first time we’ve heard this argument. 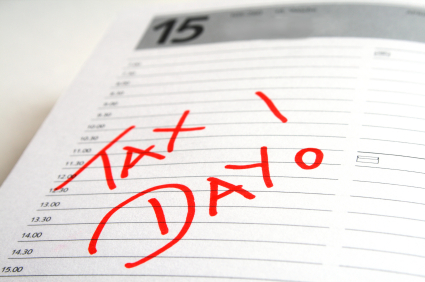 It came up last year when our 2010 Tax Fairness Pledge garnered national attention. Back then, after columnist Dana Milbank of the Washington Post made a comment to the same effect, The Economist fired back with a great rebuttal. …Here's the thing: taxes are not charity. It would be a bad idea for wealthy people who feel they should be paying more taxes to instead contribute large amounts of money voluntarily to reduce the national debt. The first, less important reason for this is that any individual's contributions would be meaninglessly small; they can make far more difference by using the same amount of money to advocate for higher taxes, as these millionaires are doing. But the second, more important reason is that even if a million millionaires got together and voluntarily donated money in such quantities that it made a measurable dent in the deficit, it would be even worse, because they would be giving license to other people to continue pay less than their fair share of taxes. It's an invitation to free-riding, with the public-minded rich subsidizing the irresponsible and selfish. …even if America had a balanced budget, this kind of argument would be illegitimate. At a pragmatic level, you can't run government functions on voluntary donations because voluntary donations aren't sustainable. You can't count on them. …strong modern states need to be able to tax their populations to pay for public goods. Click here to read the full response to this argument from The Economist. Now, if only we could get Sen. Hatch to read it. If you read Sunday's Associated Press (AP) story, "Super rich see federal taxes drop dramatically," you may be left with the false impression that United for a Fair Economy (UFE) is a network of wealthy individuals who support higher taxes on themselves. Well, that's close, but not exactly right. UFE is a cross-class organization with supporters of all financial means who understand that concentrated wealth and power undermine the economy, corrupt democracy, deepen the racial divide, and tear communities apart. We have several program areas where we seek to advance progressive policies and support movements for long-term change. The AP story was referencing a member of UFE's Responsible Wealth project. Responsible Wealth is a network of 700 business leaders, high-wealth, and high-income individuals who understand that inequality is bad for everyone, including themselves. Through the Responsible Wealth project, high-wealth individuals work to reign in CEO pay through shareholder activism, advocate for progressive tax policies at a national level, and work in cross-class alliances with state groups working to advance progressive policies at a state level. In addition to the Responsible Wealth network, other projects of UFE include our Popular Economics Education initiative that provides tools for grassroots groups seeking to better understand the forces behind economic inequality, the Racial Wealth Divide project that explores the intersections of race and economic inequality, the Tax Fairness Organizing Collaborative supporting 28 state groups working on progressive tax policies at a state level, and our federal tax advocacy deeply engaged in preserving a strong estate tax, rolling back the Bush tax cuts for top income-earners, and ending the special tax breaks for income earned from wealth. Make a tax-deductible donation to support the work of United for a Fair Economy. Sign up on our email list today by filling in your email at the top, right of this page. Join our Facebook fan page (click the Like button on the FB page). Explore the web site and learn more about the work of UFE. Note: The later versions of this Associated Press story included a corrected reference to both the Responsible Wealth project and UFE.